The Drive Medical Bariatric Heavy Duty Walking Crutches are designed to provide weight bearing stability while walking. 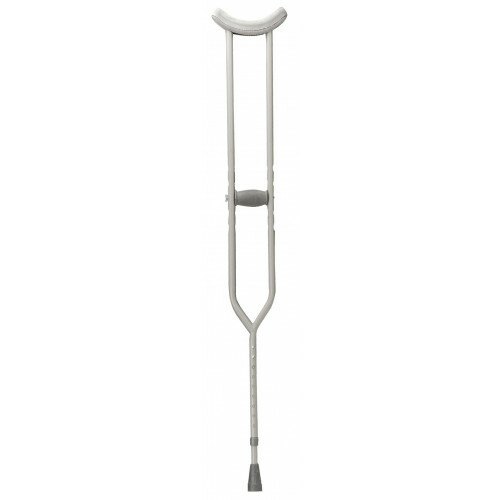 The Drive Medical 10406 Adult Bariatric Crutches are composed of durable steel to ensure strength on weight bearing areas. They feature thick underarms that are padded for maximum comfort when in use. The Drive 10408 Tall Adult Crutches are adjustable by tool free push buttons in 1 inch increments. These crutches have adjustable hand grips that provided a proper fit. They have a comfortable contoured underarm design, non-skid vinyl contoured tips, and are constructed of durable steel with a 500 lb weight capacity.